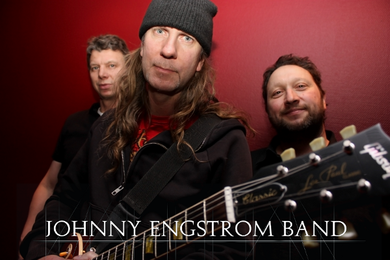 Swedish based progressive hard rock/metal band Johnny Engstrom Band has released it's third cd Magnetic Force on Alienation Records in 2011. The Chicago born (but raised in Karlskoga, Sweden) guitarist, vocalist and songwriter Johnny Engstrom formed his band in 2008. 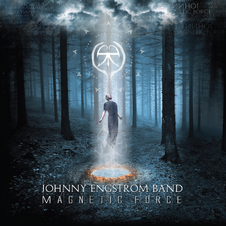 On the new release Magnetic Force Johnny Engstrom and his band have created a powerful Progressive Rock/Metal hybrid that brings to mind groups such as Dream Theater, Rush, Saga and Evergrey, Lyrically this a "concept" album dealing with UFOs, alien abductions and 'X-Files'-type themes. Dark, heavy and menacing (but still very melodic). A must for any fan of modern progressive music. The cd is now available through amazon. com and Wishing Well Entertainment . STYLE/INFLUENCES: Progressive rock meets melodic rock. Heavy influences by Saga and Rush can be distinctly heard. OVERALL: Oblivion pt.1. Imagine this. You're driving a car at top speed, you reach your destination, you stop. Begin running, you can hear your every breath, then, all of a sudden you get abducted! Then the music starts in heavy w/a progressive sound w/a mix of melodic rock. This very long song/intro takes you through an assortment of moods of different musical overtures. Many rhythmic changes. Very guitar/programmed keyboard oriented. Oblivion pt.2 is just as long in length, taking you through the closing journey of this empowering Cd. It starts w/a very relaxing beginning to instrumental intervals, where, then it goes right into the heavy progressive sound once again. From the looks of the cover to the songs you hear throughout this Cd, it appears to be a dark listen. Well written songs w/each one telling a story to the listener. This Cd would greatly appeal to listeners who enjoy a variety of listening experiences throughout each song w/a solid progressive rock feel to it. Different is how I can best describe my experience w/this album.